This family home was developed to sit comfortably within the various levels and contours of the site itself , thus the stepped planning of the final building forms. The entry is positioned in clear view at the end of the battle axe driveway to site. 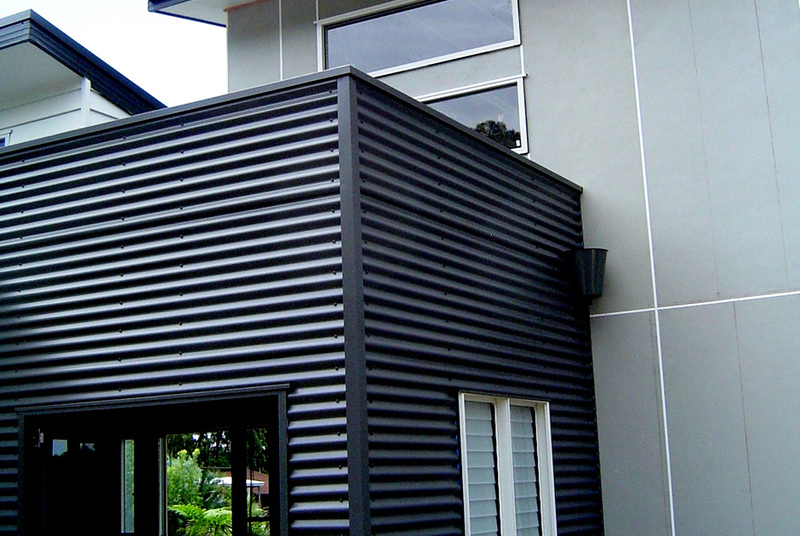 This volume presents as a colorbond box attached to the rising skilion roofed form. Step 1, the entry feeds to the main living volume which includes the Kitchen, Dining and Lounge Rooms with a music/ tv room feeding off to the south. 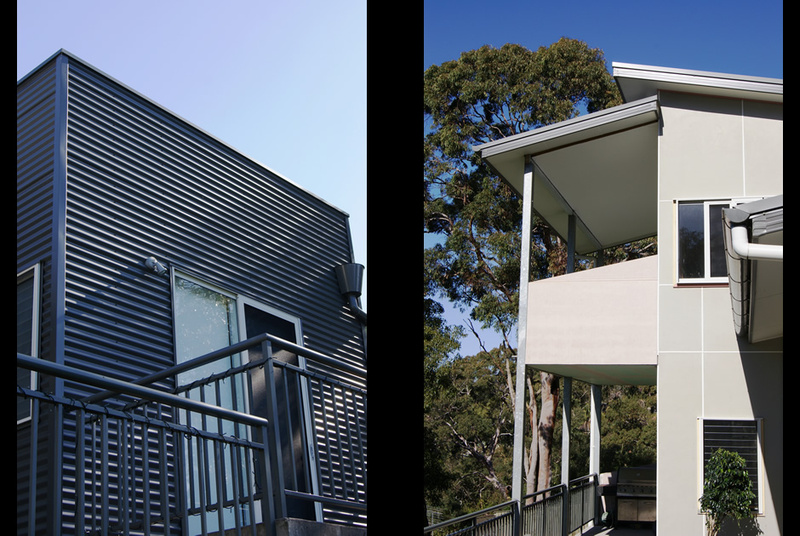 Rising above the Kitchen is a stair to the study which sits within the tree canopy of the native gums on this bushfire prone site. 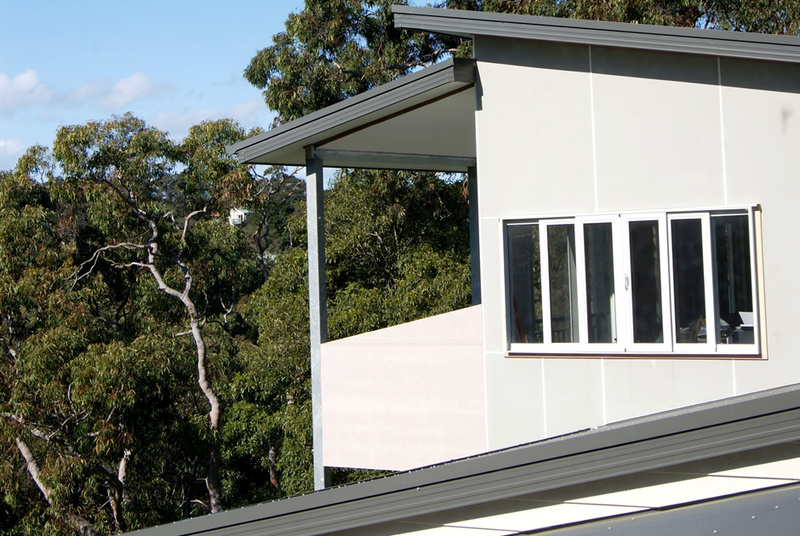 Step 2, rises up and away from the main living level to the childrens bedrooms and main bathroom . Step 3 , the hall rises again to allow access the the master suite, walk in robe and large private ensuite . A second single flight of stairs rises at this western end of the house to balance the voume to the east. 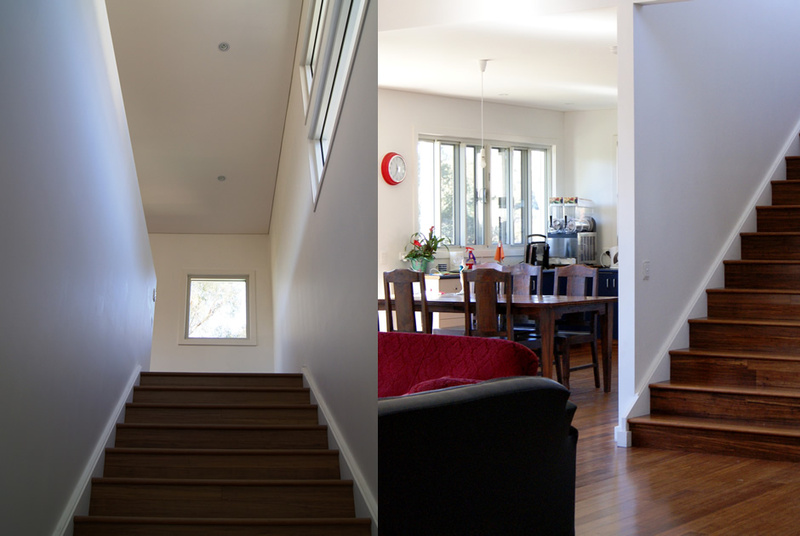 This second floor presents as a guest retreat above the main family zones . A flowing lifestyle which answers the requirements of the client brief, material constraints and site qualities.